The Media Facades Festival Europe 2010 is co-organised by FACT and curated by Heather Corcoran and Patrick Fox. FACT contributes artists’ projects to the Joint Broadcasting Events and is responsible for the implementation of the programme in Liverpool. 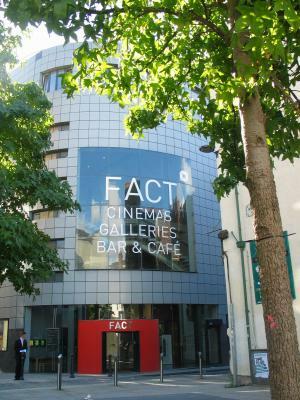 FACT has been leading the UK video, film and new media arts scene for 20 years with groundbreaking exhibitions, education and research projects. The organisation aims to pioneer new forms of artistic and social interaction with individuals and communities. During its history, FACT has commissioned and presented over 250 digital media works with artists including Pipilotti Rist, Bill Viola, Apichatpong Weerasethakul, Vito Acconci and Isaac Julien. The FACT programme is the artistic core of the organisation, commissioning and exhibiting projects by artists in film, video and new and emerging media forms while working with a wide variety of partner organisations. Films shown in the building are programmed by two organisations FACT and Picturehouse. Much of the FACT film programme relates to the exhibitions that are shown within the galleries and are chosen to enhance and extend the exhibition experience. In 2008, during its programme for Liverpool's European Capital of Culture year, FACT launched FACT TV - an online platform for its audiences to experience digital arts and culture. FACT Programme also delivers four seasonal exhibitions a year in the FACT gallery spaces, which are linked by a common theme. In 2009, in response to Liverpool City Council’s Year of the Environment, FACT followed theme on UNsustainable. For this year, Innovation and Wellbeing will be examined under the theme of Progress. 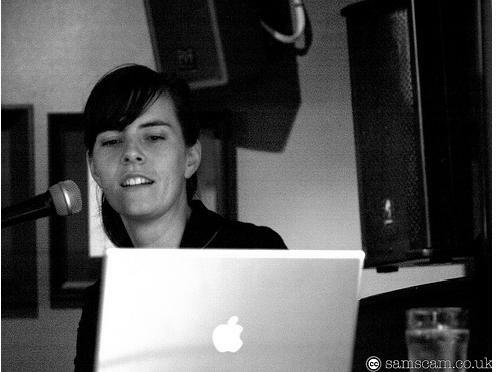 Heather Corcoran (CA/UK) is a curator/producer specialised in media art and music, currently working as curator at FACT. She was recently engaged at Space Media Arts in London and InterAccess Electronic Media Arts in Toronto, and likewise produced a number of freelance projects. Hands-on with technology and technology communities, Heather is the developer of the free software project pure:dyne, the GNU/Linux distributor for media art; co-organiser of Dorkbot London; and a lurking-only member of OpenLab. She received Bachelor of Fine Arts in New Media from Ryerson University in Toronto.